nac Image Technology welcomes to our team Expert Digital Imaging, led by high speed imaging expert, Matt Kearney. Matt brings over 16 years of high speed imaging experience. Since 1999, Matt's experience in the high speed industry has ranged from direct line sales, marketing, and development of worldwide highspeed video camera distribution channel. His knowledge of high speed imaging applications combined with his years of experience make him one of the foremost experts in the high speed imaging world. 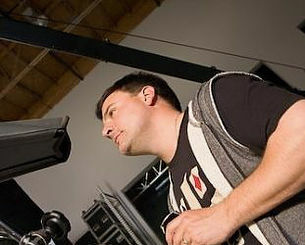 Matt was instrumental in bringing high speed video camera technology to the broadcast television industry, starting with the development of SwingVision for CBS Sports, which utilized a custom high speed imaging system to view and analyze both golf and tennis swings, winning the 2006 Emmy Award for Outstanding Technical Achievement in Sports Broadcasting. In addition, Matt co-hosted the popular Discovery Channel TV series, Time Warp, where slow motion cameras were used to capture and analyze the science behind everyday events in ultra-slow motion.